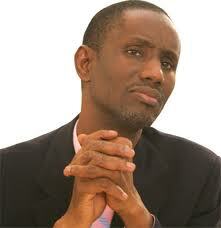 Gunmen have abducted Sani Ribadu, the younger brother of the former Chairman of the Economic and Financial Crimes Commission, EFCC, Nuhu Ribadu. A brother to Mr. Ribadu, Arabi Ribadu, informed PREMIUM TIMES that Sani was abducted in his farm in Yola, the Adamawa State capital, on Sunday. “He was abducted by gun wielding men in his farm along Fufore road at about 5 p.m. this evening,” he said. He also said the abductors took away their victim and abandoned his car.“Up till this moment, there is no communication from them,” he said. Efforts to speak with the police spokesperson in Adamawa State has been unsuccessful as his phone was switched off. Adamawa is one of the states worst hit by the Boko Haram insurgency, with Mubi, the second largest town in the state, now under the control of the insurgents.